The Best Pizza Wine Under $20! This is a post that I’ve thought about writing for a long time, because really what could be better than a great pizza and a great wine? 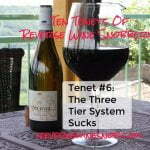 But in true Reverse Wine Snob fashion, we don’t want to pay a lot to get that great wine! So here today I give you 10 of my favorite wines (in no particular order) to pair with pizza! This was originally going to be a Five Favorites post but I simply couldn’t stop at only 5 wines. (Heck ,I had a hard enough time stopping at 10!) So go ahead and grab any of these wines and your favorite pizza and enjoy a little slice of heaven. 2007 Lagaria Syrah-Nero d’Avola Sicilia IGT – A Pizza Prerequisite. 60% Syrah and 40% Nero d’Avola from Sicily and available for as little as $8! Jammy blackberry, nice spice and licorice plus lots of soft but grippy tannins. It’s as if this wine was made with one purpose in mind — pair it with a pizza! 2009 Francis Ford Coppola Rosso – An Offer You Can’t Refuse? 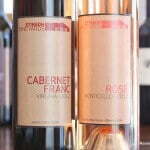 26% Cabernet Sauvignon, 26% Petite Sirah, 25% Syrah, 23% Zinfandel from California. Available widely (including Trader Joe’s) for as little as $8. At first glance this seems like a simple drink, but this wine has a lot to offer: sweet and juicy plum, dark berries, cranberry, spice, cloves and even a little chocolate at the end. 2010 Allegrini Valpolicella – Goes Down Easy. 65% Corvina Veronese, 30% Rondinella and 5% Molinara from Veneto, Italy. For only $12 you get a delightful fresh and fruity wine with a bit of tangy spice to round it out. Not as famous as the wines from Piedmont or Tuscany, there is lots of value to be found in this region! 2010 Echelon Red Blend – A Fine Find For Pizza Night. A blend of Cabernet Sauvignon and Merlot from California and available for around $12. Light. Simple. Fruity. Soft and smooth. I could go on but I think you get the idea. Black cherry, strawberry, raspberry and a little spice combine in this wonderful complement to a pizza pie. 100% Montepulciano from Abruzzo, Italy that is available for as little as $8. Savory and jammy flavors of plum and black cherry combine with a little black pepper and vanilla to create an easy-drinking medium-bodied wine that can best be described as soft, smooth and savory. 50% Sauvignon Blanc, 40% Semillon, and 10% Muscadelle from Entre-Deux-Mers, Bordeaux, France. Available widely for around $10. Tasting this wine actually made me crave a Neapolitan pizza! Lemon/lime, grapefruit, pear, peaches and a little guava combine to create a fresh, flavorful wine with great acidity. 2008 Feudi di San Gregorio Rubrato Aglianico – As Delightful As The Land It Comes From. 100% Aglianico from Irpinia, Campania, Italy and available for about $15. This wine features ripe red and black fruit plus lots of thick spice and even a few mint notes. Trying pairing this wine with a meat lovers or some other rustic style pizza. 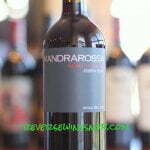 2010 Fuori Strada Off Road Sangiovese by Monte Bernardi – Old Fashioned Goodness In A Modern Package. 100% organic and vegan Sangiovese from Tuscany, Italy. Comes in a 1 Liter Tetra Pak for around $13. This delicious medium-bodied wine features nice fresh juicy fruit, good spice and smoked meat notes. A great option if you are having a pizza party as the 1L tetra-pak is very affordable and will give you 33% more wine than a typical bottle! 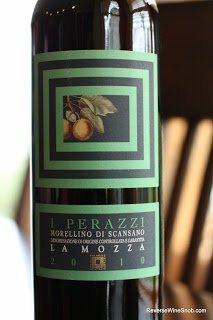 2010 La Mozza I Perazzi Morellino di Scansano – I Love It! Our latest bulk buy on a Super Tuscan with a Mediterranean twist. 85% Sangiovese, 5% Syrah, 5% Alicante, 2% Colorino and 3% Ciliegiolo from Magliano, Tuscany, Italy and available for around $14. Juicy red and black cherries, licorice and spice plus soft and dusty tannins combine to create a delicious Super Tuscan that is also super affordable. 2011 Douglas Green The Beach House Pinot Grigio – A Classic Pinot Grigio. I greatly prefer red wine with my pizza (as you can probably tell from this list), but if you’re a white wine drinker Pinot Grigio can be a good choice. This example from Lombardy, Italy features zesty flavors of peach, pineapple, lemon and lime. 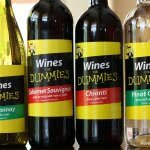 This is no watered down mass market Pinot Grigio! Available for around $9, it ends with a succulent finish that lasts a surprisingly long time. Click through to the individual wines to find the full reviews including a link with local retailers who carry each wine. Many of the wines were samples received for review purposes. Cheers!